eBooks with realistic page-turning effect can greatly improve reading experience. Convert PDF to flash/html5 page flip eBooks now with 1stFlip Flip Ebook Creator, and upload the eye-catching flip eBooks online instantly. 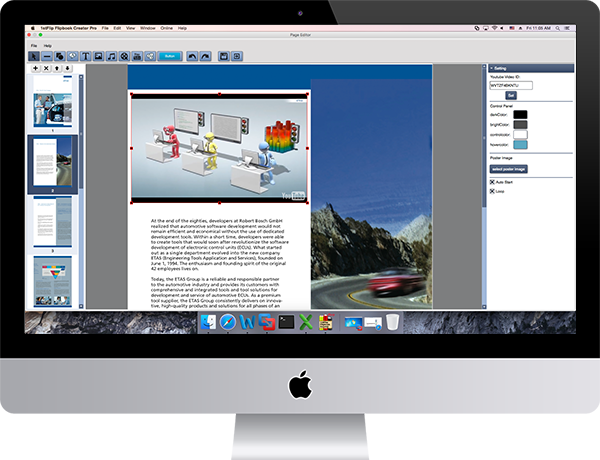 Create and publish Page Turning eBook from PDF Files. 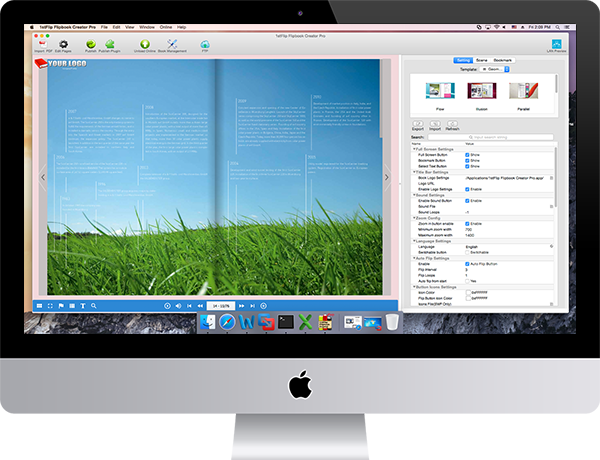 Convert PDF eBooks into multimedia page flipping publications. 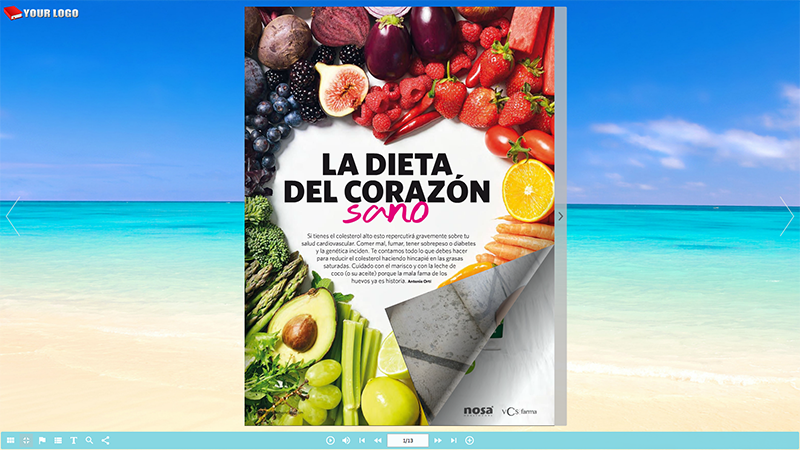 Edit eBook page with line, shape, callout, text, image, GIF, music, video, YouTube video, button and number icon. Stay connected to any online flip eBook across all your devices. 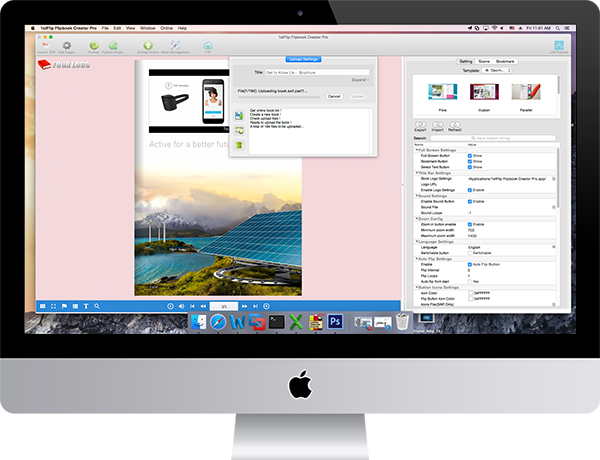 Convert PDF to offline flip eBook in 4 formats: html, zip, app and exe. Upload page flip eBook to own website using the built-in FTP or publish directly to 1stFlip server. Support searching, select and copy&paste eBook content. Organize all uploaded eBook s with the Book Management. 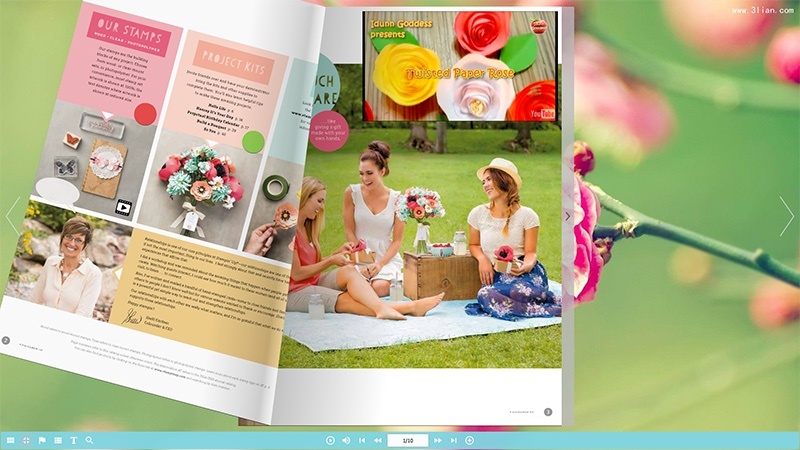 1stFlip page flip eBook maker provides multiple templates and scenes for you to choose. The template determines the overall layout and design of your digital flip eBook. 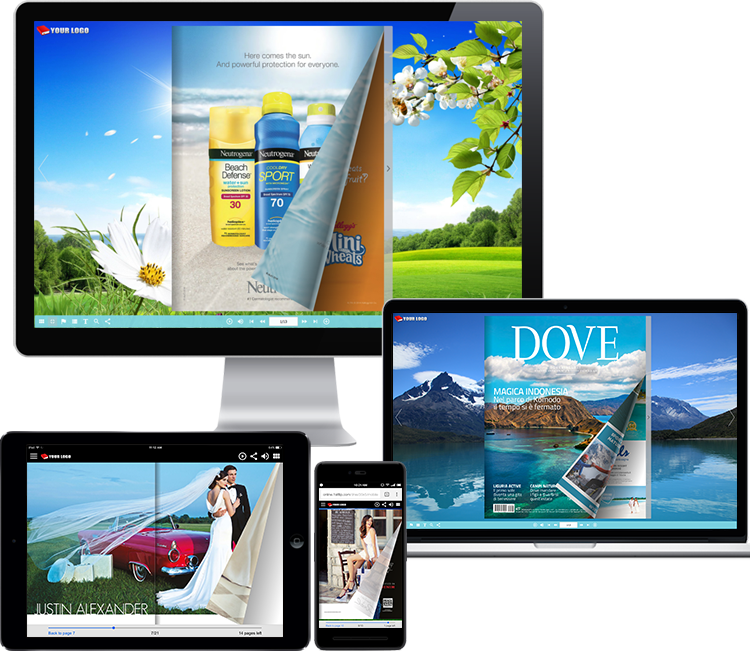 Create and publish interactive flash eBook with customized bookmark, flipping speed, background music, background image, logo and etc. 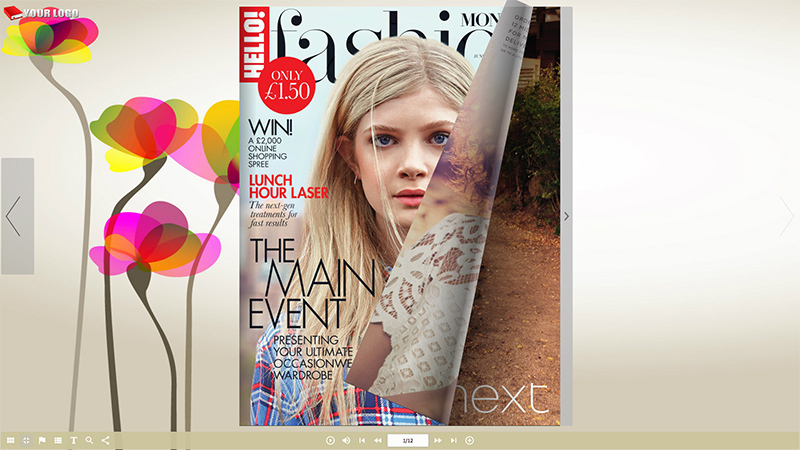 1stFlip HTML5 eBook software combines the realistic page-flipping reading experience with multimedia. Build Page Flip eBooks from PDF documents, with page turning effects and embedding line, shape, callout, text, image, music, video, YouTube video, number icon, button, hyperlinks etc. Store your page-flipping eBooks securely online for easy access from anywhere. The instant Upload Online feature makes it fast and easy to upload flip eBooks to 1stFlip Cloud. Also you can upload ebook to own website/server with the built-in FTP client. Share the ebook link with others. Embed to your blog/webpage with a few lines of codes or share via Facebook, Twitter, LinkedIn, etc. Responisve ebooks fit any mobile devices perfectly. Read online page turning ebooks on iPad, iPhone, Android mobiles and more. Tap to flip pages. Zoom in or out. And quickly flip to certain page with thumbnail window. Deliver page-flip eBooks in html, zip, exe or app foramts, which can be viewed offline, and distributed via email, CD, or a server. Add Google Analytics tracking codes to your page flip eBook, so you can find out exactly how many visits, conversions and sales your flash/html5 generated on all devices. Search whatever you want within the page-flipping eBook. Embed page flip eBook into your website/blog with the provided embed code. 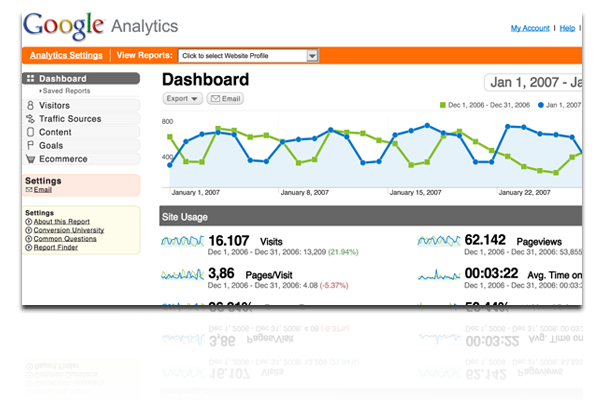 Get even more detail on how readers find and use your eBooks by integrating Google Analytics. 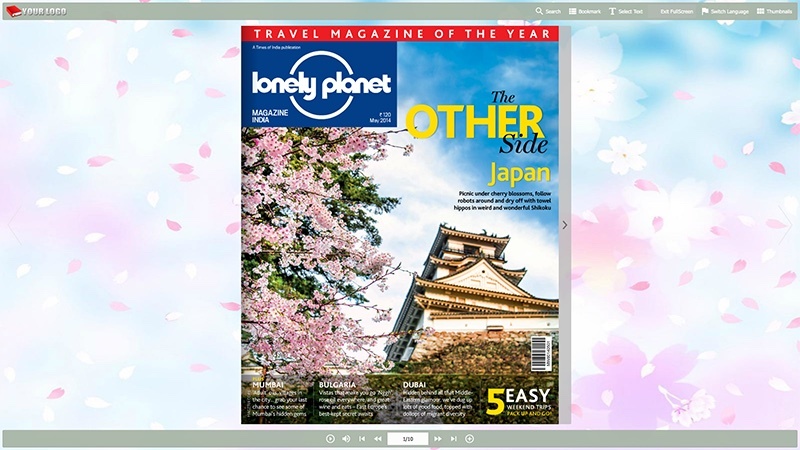 The eBook toolbar supports multiple languages which are switchable while reading.